Sydney Shop Girl: SSG Manor Was Down to Its Last Can of Coke Zero. Celebrities. Thoughts On Both and More. SSG Manor Was Down to Its Last Can of Coke Zero. Celebrities. Thoughts On Both and More. There was an unsettling suprise when I opened the fridge this morning. It wasn't a mould situation or even the joyful surprise of a bottle of chilled champagne. SSG Manor was down to its last can of Coke Zero. In a two person household. On a day where it already felt like 30C at 7.38 am. I needed time to think. With a cup of tea and the back page of the weekend paper. 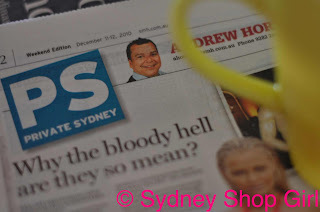 Apparently its celebrity central in Sydney this weekend. Oprah is having a do this weekend involving Donna Hay as food stylist, two mega celebrity Sydney chefs and the lighting of the big O on the Harbour Bridge. U2, Beyonce and Jay-Z are also here plus Keith and Nicole. The weather has had a good hard look at itself and it is now sunny and clear skied. Oprah clearly makes things happen, even the weather. Today's PS column was its usual self. Sydney readers will know what I mean. 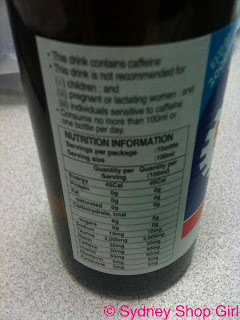 But it did benefit greatly from the addition of all those exciting names above. The story in my photo was meant to be supportive of Lara. It started off that way then it took a less kind turn somewhere around the time Dancing With the Stars was mentioned. 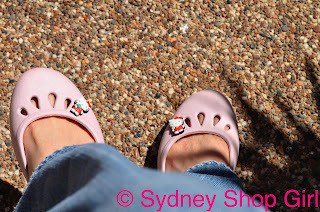 Personally, my celebrity highlights of this weekend were more in the fashion side of things. Not that Nicole, Oprah and Donna are not women with great taste in clothes. Christian Louboutin's first Sydney store is opening in that mega Westfield in the city and somewhat related to this, Nicole Richie (a Louboutin girl herself) is getting married at her dad's place in the US. I would have to be at work all day today!! Never mind. The greater good, SSG, the greater good. 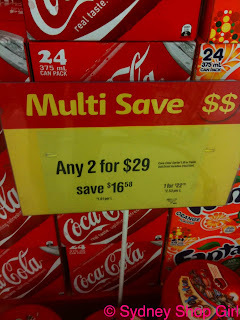 Our Coke Zero situation has been resolved with this fanastic piece of news at Coles. Presumably, many, many Sydney siders were in the same situation as the SSGs this weekend because this was a popular aisle when I went shopping today. 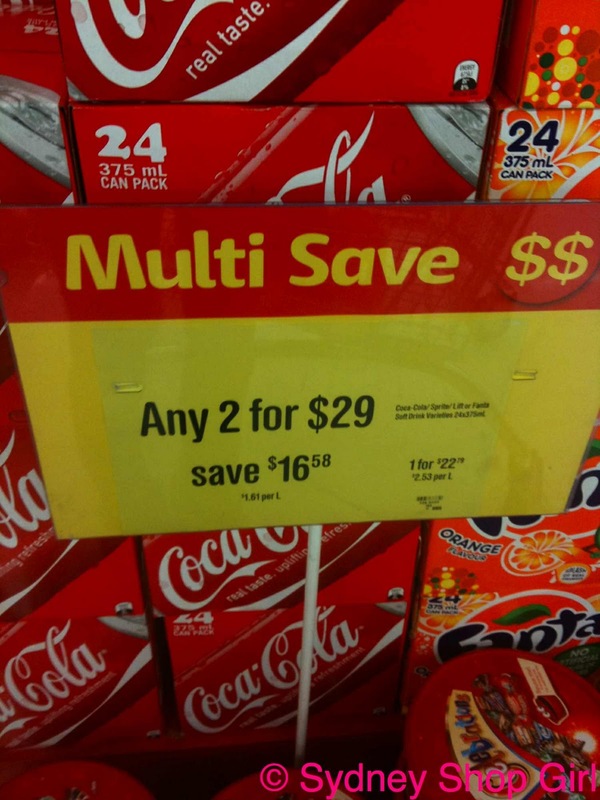 Yes, Coke Zero was also part of the promotion. It had its own shelf. 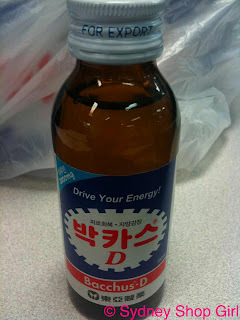 Did you know that there is a Korean version of the energy drink V? I only know this because a lovely older man at work had a 10 bottle carton with him and he let me have a look at one. He likes them because the screw top lids are more manageable than those finicky ring pulls. I'm hoping he's only sticking to one a day because that's a truckload of caffeine and taurine. Speaking of work. I'm all dressed, packed and ready to go. I've got my super comfy pink Croc ballet flats with Hello Kitty's attached on my feet. Went a bit matchy, matchy with the pink polo - Ralph Lauren skinny fit. 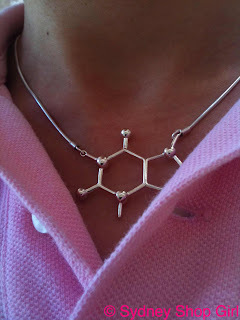 And my etsy caffeine molecule necklace on. It's going to be a great shift, I just know it. haha this made me giggle because I am exactly the same with pepsi max! It's never good when you run out of your favourite drink. I'm trying to avoid caffeine at the moment (and those pesky cancer inducing sugar substitutes), but I do love me a good coke zero occasionally. 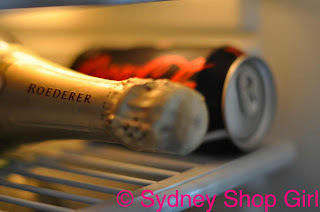 I get worried when I spot the last bottle of sparkling mineral water in our fridge... That's my drink de jour... I hope work isn't too frantic for you today. 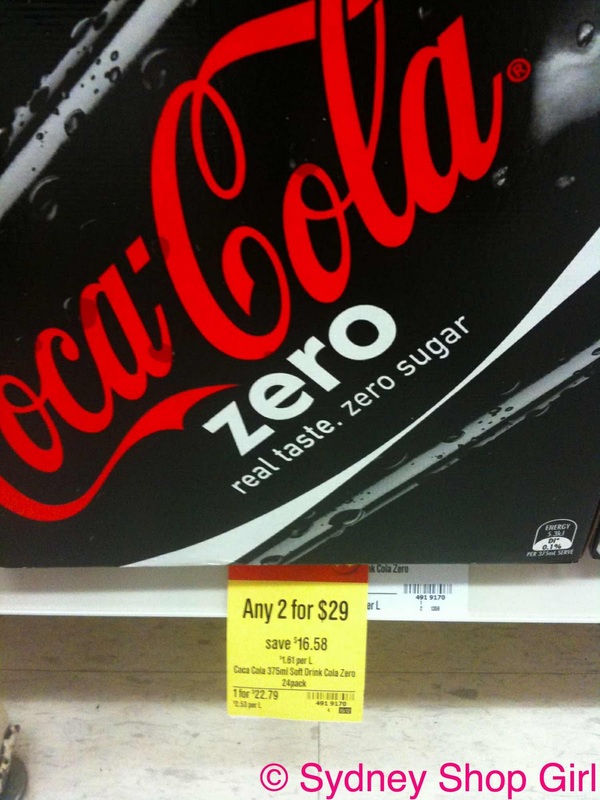 Kitty: I'm trying to make coke zero a sometimes drink. I'm down to 2 a week max. I gave up diet coke(and all it's relatives!) just over a year ago...I still dream about it sometimes!!! Goodbye, 2010. And A Very Fine Year You Were. The Weeknight Book Club: Room. Read It. Homeward Bound Just Before Christmas. Snow Falls At SSG Manor. The Three Bruised 'Nanas. In Pursuit Of Bathers. Britney in the City. Uccello at The Ivy. For the Love of Orange. Mr SSG To the Rescue. Food For Thought. Poolside at the St Regis.